Liverpool fans have found it understandably difficult to contain their excitement following reports suggesting Pierre-Emerick Aubameyang is open to a move to Anfield this summer. The Borussia Dortmund striker was supposedly set to sign for Paris Saint-Germain ahead of the new season but a deal is yet to have been agreed with Liverpool now believed to be preparing a bid for the player. 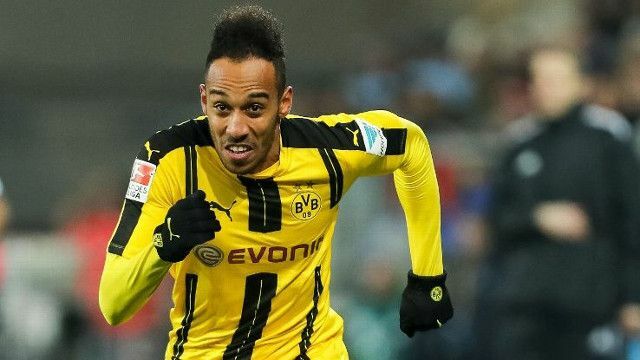 Aubameyang has been prolific since signing for Dortmund in 2013, scoring 85 goals in 128 appearances for the club so far and thereby becoming subject to interest from a number of top European sides. An acceptance of the fact that optimism could well be short lived with regards to a pursuit for the Gabon forward hasn’t stopped supporters from dreaming of what an incredible signing he would be. Reds have experienced so much frustration in this current transfer window alone that there is no harm in pondering what a player with Aubameyang’s pace and goal-scoring prowess might add to an already explosive attacking setup at Liverpool. No harm in a little optimism, right? Imagine the front three of Mane, Aubameyang and Salah ?? ?